Royal Vegas Casino offers excellent promotions including sign up bonuses of up to 100%. There are also several percentage playthroughs by game reward programs. For this and more, make sure to visit the official promotions page on the casino website. For the record, the promotions are for players in specific countries, so make sure to confirm this. The Royal Vegas games catalog stretches beyond 600 games. There are the traditional casino card and table games such as poker, baccarat, and roulette for the classic casino gambler. Besides this, there are also other awesome online casino games including keno and bingo, among others. Regardless of the type of player, there's always something for everyone. One of Royal Vegas’ main reasons for rapid success is the partnership with industry leading software providers. The company has partnered with two of the most reputable gaming software providers; Microgaming and Evolution Gaming. These two companies are renowned for their high-quality and most importantly, the latest thrilling casino games. Royal Vegas Casino offers several deposit methods. Players can choose eWallet deposits via PayPal, Skrill, Neteller, Trustly and ecoPayz among others. The casino also provides card deposits either via Visa or MasterCard. Bank transfer is also available. The turnaround time ranges from 0-24 hours with eWallets, but card payments go through almost instantly. At Royal Vegas Casino, withdrawals can be made using eWallets. The turnaround time is 12-48 hours. There are also card transfers which take 2-5 business days. Lastly, there's the option of bank transfer which takes 3-7 days, or withdrawal by cheque that takes 7-28 days. The company has a $5000 withdrawal limit per week. As an international online casino, Royal Vegas serves players from different regions and countries. To provide clients with the best experience, the platform supports most of the international languages including English, French and Portuguese, among other popular languages. Players can navigate around the website, and even play the software, in their preferred native language. Nothing can be stressful like playing in a foreign currency, and gladly, the team behind Royal Vegas understands this. Players can quickly toggle between the many global currencies the software supports. The website supports dollars, euros, pounds, yen and so on. The advantage of this is that players are in tandem with stake amounts. For online casino enthusiasts scouting for the best and credible online casino, Royal Vegas is a great deal. It is available as a download in software client, flash-based player or can be run as a web app. 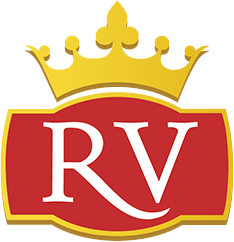 On mobile, the Royal Vegas casino is available for Android, iOS, and BlackBerry OS. Excellent customer service is essential in online gambling. Royal Vegas Casino boasts a formidable customer support team, which is available on live chat 24 hours. There are an international telephone line and email support as well. For immediate response, use the live chat platform or call their lines, as email turnaround is longer.